Montenegro’s state power utility Elektroprivreda Crne Gore (EPCG) has invited bids for EUR 3.36 million worth of overhaul of six out of seven generators at the Perućica hydropower plant (HPP), as part of a project to ensure reliable electricity production at the HPP Perućica over the next 20 to 30 years. 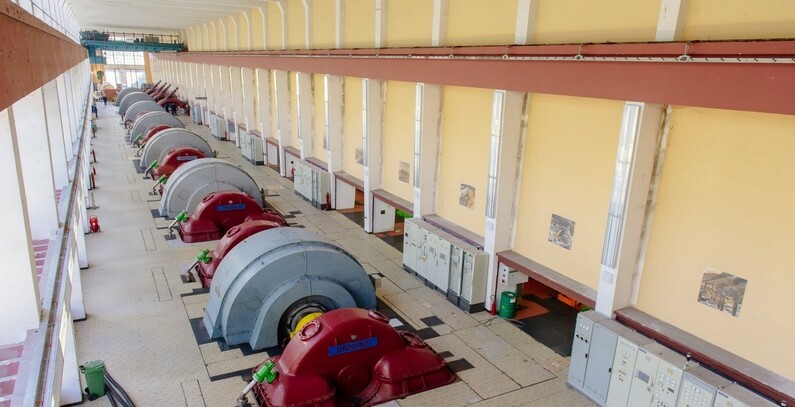 A contractor to overhaul HPP Perućica’s generators G1, G2, G3, G5, G6, and G7 is expected to be selected by the end of the year, Vikend Novine was told at EPCG’s corporate communications department. The planned works are to be carried out over three years, with two generators to be overhauled each year, according to the invitation of bids available on EPCG’s website. The deadline for the submission of offers is October 12, and bidders are required to provide a bid bond equal to 2% of the estimated value of the job. Before signing the contract, the selected top bidder will be required to provide a 5% performance bond, according to the invitation of bids, dated September 4. Vikend Novine was also told at EPCG that bids for the replacement of a transformer at HPP Perućica, a job valued at EUR 2.75 million, will be called soon. After the planned overhaul of equipment and facilities, HPP Perućica will be one the most reliable electricity producers in Montenegro over the next 20 to 30 years, the paper was told at EPCG. The major revitalization project at Montenegro’s oldest large power plant will be carried out over the next four years, Vikend Novine was told at EPCG. EPCG also plans to install an eighth, 65 megavolt-ampere generator at HPP Perućica, the paper was told. HPP Perućica, located on the territory of the Nikšić municipality, was put into operation in 1960. It has an installed capacity of 307 MW, with the potential to produce some 1,300 GWh of electricity annually, according to EPCG’s website. From March 12, 1960 to December 3, 2016 the hydropower plant generated a total of slightly over 49,000 GWh of electricity, with the average annual output of 898.8 GWh. HPP Perućica’s record annual production, of 1,434.0 GWh, was posted in 2010. In 2016, the output was 938.73 GWh, according to EPCG’s website.